“To answer this question we must first look closely at what exactly is a retention time? It is measured as the time from the injection of the sample to the time the separated component of interest is observed by the HPLC detector. 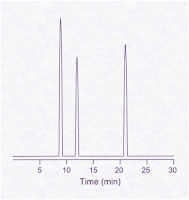 Therefore the total retention time will depend not only on the time taken for the component to travel through the HPLC column but also the time taken to travel through the tubing both before the column and after the column. This time, which is in addition to that spent on the column, will depend on the overall volume of tubing, we refer to this as the ‘extra column volume’. The amount of extra column volume for different brands of HPLC instruments will be slightly different since they are not all made in the same way. Additionally, the user of the instrument can alter the extra column volume by a variety of actions such as replacing lengths of tubing, cutting off the end of the tubing when removing stainless steel ferrules, installing column switching valves, etc. These factors result in small differences in the retention time observed for different brands of instrumentation. A feature of the chromatogram which tells us about the extent of the extra column volume is the void volume, t0. This is usually the first disturbance in the baseline and corresponds to the solvent in which your sample was injected. This solvent is unretained and so corresponds to the time required for an unretained component to travel through the column to the detector. If you calculate the capacity factor, k’ you can remove the effects of extra column volume for each peak, this value should be the same for different HPLC systems (assuming all other variables are constant, i.e. same column, same mobile phase, same method etc.). where t = retention time and t0 = the time taken for non-retained components to elute. The capacity factor is a measure of where the peak of interest is located with respect to the void volume (the elution time of unretained components). Another reason for a difference in retention times which can lead to larger differences relates to gradient methods. When running these types of method the changes in mobile phase composition are controlled by the gradient proportioning valve (GPV) in the pump (for low pressure mixing HPLC systems, the most common type in use). The consequence of this is that there is a delay between changing the gradient and that effect being experienced at the column. This has to take into account the extra volume between the GPV and the injection port. The total volume from the GPV to the column is called the dwell volume and this is another reason why you may experience different retention times using Instruments from different manufacturers. In my experience I have noticed very little difference when measuring the dwell volumes of Agilent and Waters systems. To calculate the dwell volume for a particular system, refer to a previous post on interpretation of HPLC methods (Wednesday, 14th October 2009). The MTS blog post on applying Quality by Design to analytical methods (Wednesday 11th November 2009) has been published as a short article on the Pharma QbD website. Quality by Design (QbD) is the name given to the principle of fully understanding a process and the effect of the various characteristics which influence the process, rather than just testing the resulting product at the end to check if the process has performed as expected. This concept was adopted by the FDA in 2004 as detailed in ‘Pharmaceutical CGMPs for the 21st century – A Risk Based Approach’  and is included in ICH Q8 'Pharmaceutical Development’  and ICH Q9 ‘Quality Risk Management’ . QbD has been applied to manufacturing processes but can it be applied to analytical methods? When we develop analytical methods we typically select suitable method parameters based on experience and knowledge and then check to ensure that we can achieve the desired results by applying analytical method validation characteristics. Thus we can ensure that the method can quantify at the levels required, that the results are always the same and that they give the true value, etc. This approach does not result in a full understanding of how the parameters of the method can affect the results. Validation guidelines such as ICH Q2  list the validation characteristics which should be investigated when validating your analytical method. These characteristics include intermediate precision, reproducibility and robustness. These three can provide understanding of the effects of method parameters. Intermediate precision tests how the method performs when carried out by different analysts, on different analytical systems, on different days, etc. Reproducibility is required when the method needs to transferred to another laboratory and adds to the previous variables investigated for intermediate precision that of carrying out the method in a different laboratory. Robustness testing investigates the effect of slight changes to the method parameters. For example, in a HPLC method the effect of the flow rate, buffer strength and composition of the mobile phase might be investigated. If performed thoroughly and correctly, the combination of these three validation characteristics can provide a good understanding of how a method performs and yet often this is not the case. Why? One of the problems is that these characteristics are usually investigated at the end of a validation study due to the effort involved; they are time consuming, require different analysts, systems etc and thus are expensive to perform. For this reason they may only ever be investigated for projects which are in a late stage of development and even then often only the bare minimum of testing is performed. Also, there is a tendency to treat validation studies as a ‘tick-list’ exercise. It is regarded as a separate task which may even be performed by a different set of operators to those routinely using the method, thus valuable knowledge and experience is not gathered together. Another issue is the statistical knowledge required to interpret the results, particularly relating to robustness studies which are best performed using multivariate analysis techniques, such as design of experiments (DoE). Applying QbD would involve moving these studies which provide an understanding of the method to the beginning of the method development process instead of performing them at the end of method validation. This would mean that the method parameters would be chosen on the basis of these experiments and would be within a design space of the method. The use of automation in these experiments would be desirable to reduce the effort involved and analytical chemists would benefit from a good understanding of the necessary statistics. 1. US Food and Drug Administration, Pharmaceutical CGMPs for the 21st Century – A Risk Based Approach, 2004. 2. The International Conference on Harmonisation of Technical Requirements for Registration of Pharmaceuticals for Human Use, Quality Guideline Q8 Pharmaceutical development, 2006. 3. The International Conference on Harmonisation of Technical Requirements for Registration of Pharmaceuticals for Human Use, Quality Guideline Q9 Quality Risk Management, 2006. 4. The International Conference on Harmonisation of Technical Requirements for Registration of Pharmaceuticals for Human Use, Quality Guideline Q2(R1) Validation of Analytical procedures: Text and Methodology, 2005. Previously in Learning at Work we looked at the training cycle and how to set learning objectives. In this issue we are going to take a quick look at the use of icebreakers. Love them or hate them, if done well they can get your training session off to a great start. The main purposes of an icebreaker are to get your audience’s attention and to familiarise the training delegates with each other, thereby creating a relaxed learning environment. It may also be used as an opportunity to introduce the content of the training. The interaction of the members of a group may be an integral part of training. Soft skills training courses, such as management training, often involve role playing exercises. Delegates can find these types of exercises quite challenging and a good rapport with the other members in the group will make them more successful. In technical training, such as using a piece of laboratory instrumentation, the group interaction is less critical but this does not mean that it is unimportant. Group learning situations where the learners can discuss the topic of the training and contribute questions are often preferred to learning as an individual. It can be both a good learning experience and fun. In my experience the games beloved of some training events involving balloons, juggling balls and singing songs, to give just a few examples, do not go down well in a laboratory training environment. Much preferred is something short and fun, and if it touches on the purpose of the training, it must be relevant. Taking people out of their comfort zone so that you can then give them information relating to laboratory science is not usually productive, the best results for this type of training are obtained when the delegates are relaxed, comfortable and ready to learn. 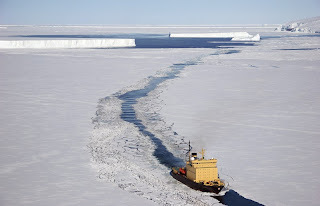 So what should you use as an icebreaker? One of the factors to be considered is whether you already know the people you are training and if they know each other. Knowing people’s names is one method of providing a relaxed environment. If you do not know your training groups names or they do not know each other I suggest that your icebreaker should be some sort of naming exercise. This can be as simple as getting your group to introduce themselves individually, or putting them into pairs where they first have to find out about their partner and then introduce each other. I have found that if you ask your learners to include a quick interesting fact about themselves it can lighten the mood and help you to remember who is who. You should always go first to make sure that they know it does not have to be a very personal piece of information. 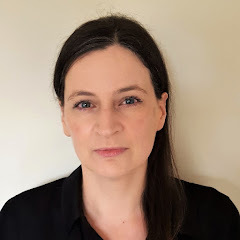 Quick facts that have come up in my training sessions include: It’s my birthday; I play in a band and we have our first gig tonight; I am getting married this summer; my favourite pastime is shopping. As a facilitator you should try to encourage some chat around the response given by each learner. If you and your group all already know each other then you might want to use an icebreaker which introduces the content of the training in some way. This may involve a discussion of your delegates learning expectations. If you capture these on a flip chart you can revisit it at the end of the training. This activity also has the benefit of making the learners think about what they want and why, thus shifting the emphasis from your responsibility of telling them about the topic to their responsibility of learning about the topic. This can help get their buy in to the training. Another icebreaker that I sometimes use for a group where we all know each other is to see if they can draw an ampersand. I show the group a printed ampersand, ‘&’, and ask if they know what it is. Everyone usually gets it straightaway. Having hidden the printed ampersand from view I then ask the members of the group to have a go at drawing it. In general, most people find it difficult especially since they are not allowed to look at an example. This activity usually goes down quite well and stimulates discussion among the group. The point that you can make relating to training is that even if you think you know about something it doesn’t always mean you can do it. "I wish to have a very "elementary" and concise knowledge for reverse and normal phase column chemistry. Articles that I have read so far are very confusing. Non-polar stationary phase (RP) requires polar mobile phase hence polar compounds come out first (shorter RT) while the non polar compounds come out later...Which component in the MP affects what? e.g. ACN : H2O ...65:35 ...Which one to increase or decrease to effect the chromatogram and in what order would the peaks elute? " 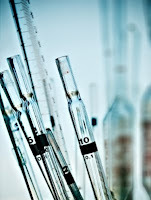 “When we use the term reversed phase HPLC we are usually referring to the most common type of HPLC, namely partition. In this technique a non-polar stationary phase, typically an alkyl chain such as C8 or C18, is used together with a polar stationary phase, typically a mixture of water with an organic solvent, such as acetonitrile or methanol. Consider an analysis in which we wish to analyse a mixture of different organic components which all have some polar characteristics due to the functional groups present. The mixture is injected into the mobile phase and thus introduced to the stationary phase. The organic components in the mixture are attracted to both the non-polar stationary phase and also the mobile phase in which they are dissolved, largely due to hydrophobic forces. When the component is in the mobile phase it moves through the column and when it is in the stationary phase it does not. The equilibrium experienced by each component of interest is a partition between the bonded stationary phase and the liquid mobile phase. The mixture can be separated if the extent of this partition is different for each component. The relatively more polar components will elute from the column first with the shortest retention times because their partition favours the polar mobile phase. The relatively less polar components will elute from the column last with the longest retention times because their partition favours the non-polar stationary phase and thus they spend more time there during the analysis. So for your example, if we change the proportions of the mobile phase ACN: H2O, 65:35 to ACN:H2O, 75:25 we would expect the retention times of your components to be decreased by a factor of 3. If you change the proportions of the mobile phase for an isocratic method (as in the example above) then the elution order of your peaks should remain the same. However if you change the mobile phase proportions during an injection (a gradient analysis) you may see changes in the order of elution of the peaks, an effect that is used in the method development process. HPLC column equilibration was discussed in a previous blog post and was subsequently provided in a printer friendly version as a resource in the MTS website free training resources area. We are now giving away a free calculator to make these calculations as simple as possible for you. 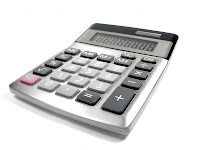 Click here to access the calculator; it will open as an Excel spreadsheet. The directions for how to use the calculator are provided on the spreadsheet.